You deserve more: more softness, more bang for your buck and more of the things you need most. Get two sheet sets with spot-on touchably soft microfiber and a stretchy fitted sheet for extra comfort and style. Just a few more reasons to sleep in tomorrow. Now that's more like it. Nice queen sheet set. I might buy another color, if there are any left. I own several sets of Concierge' sheets and have always had a good experience with their quality. This 2-pack set I purchased? Wow, these sheets are so soft, you will not want to get out of bed! I have had these for several months, so I can speak to the quality and how well they have held up, no pills. Thanks, HSN, for these awesome sheets! Love from OK! I love these sheets. I have bought quite a few different colors over the years. 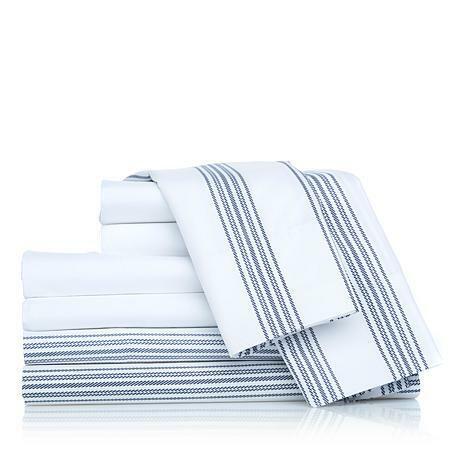 Great price, sturdy, and feels like a high thread count. I also like the flex pay opportunities. Best sheets Ive ever owned! These sheets are incredible. Soft as silk, wash up beautifully, reasonably priced and have a lovely loft to them. They feel very expensive; like Im at a bed and breakfast every night. I will never purchase any other sheet set but the microfiber from HSN. 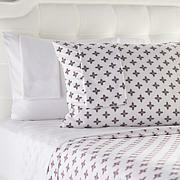 These sheets are very pretty M so soft & wash up well ! The colors are very rich. Great price,,, good quality!